There are only 5 ingredients to this tonic. In addition to water and lemon juice there are 3 other ingredient that give this tonic its healthy kick. In addition to the simple recipe, Lindsay discusses the health benefits of each ingredient. Very good article that is well worth a read. 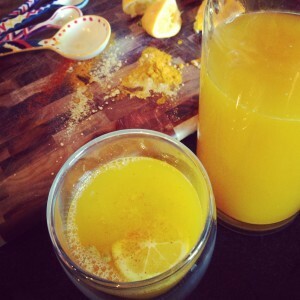 Click on the Magical De-Bloat Detox Potion Recipe link below to see the recipe.